Excellent service, they know what to do when something is wrong with the car, and they can figure out the problem. It is friendly shop, and everyone knows what they are doing. Everything is a 10"." I have recommended them to anyone I know. They have been honest, and their prices are very good. They have fixed things for much less than other places have quoted me and even fixed something additional another shop didn't even know was wrong. They are highly recommended in my opinion. The fact they are reasonable and do what they are supposed to do, they don't ever try to sell me anything extra. They take care of business, and the service is always friendly and nice. I think they're excellent. I have been very happy with the service for many years. When I had a really rundown old car, he didn't take advantage of me and helped me keep it running without extra costs. He was very fair. 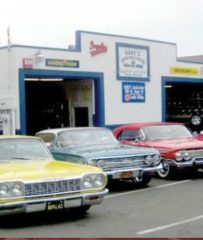 Gabe’s Auto Care Center repairs and maintains all types of domestic and foreign vehicles at its Sonoma facility. In addition to handling everything from routine oil changes and tuneups to comprehensive engine and transmission work, the family-owned and operated company has the in-house capabilities to detail customers’ vehicles, restore classic cars, and more. Gabe’s Auto Care Center takes a meticulous approach to quality control to ensure every car that leaves its shop is in optimal condition. “Once a job is complete, we do a detailed check and road test to make sure everything was done properly,” explains Mr. Manzo. The company also offers complimentary shuttle rides to anywhere in the local area, and the state-of-the-art Sonoma Valley Regional Library is located next door for its customers’ convenience. 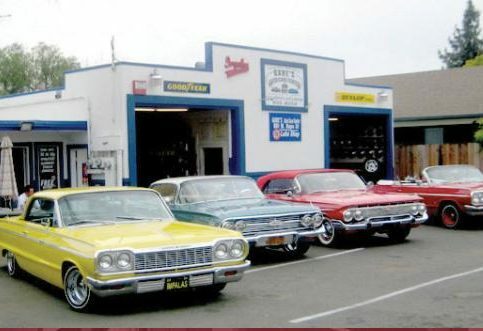 Gabe’s Auto Care Center has been repairing and maintaining all types of vehicles at its Sonoma facility since 2011. The family-owned and operated company handles everything from routine oil changes and tune-ups to comprehensive engine and transmission work, and it also has the training and equipment to detail customers’ vehicles, restore classic cars, and more. If you regularly drive in Sonoma County, take preventative steps to keep your vehicle running smoothly on rough roads. Follow the manufacturer-recommended maintenance schedule. “Most people think they can just do an oil change and be good, but there are lots of things that are required when you hit a certain mileage,” says Mr. Manzo. That means fluid changes, air filter and belt replacement, and more. These mileage-based maintenance items are crucial for keeping your vehicle running well and potentially extending its life. The way you drive can impact the health of your vehicle. Rough driving, like shifting into drive or reverse while your car is still in motion, can damage a vehicle’s transmission over time. Riding your brakes, sudden stops and starts, and other jerky movements can damage brakes and rotors and wear out brake pads. Ignoring rattling noises or driving with lit warning lights can reduce the chances of fixing a minor problem that could turn into a major repair. Q: How much will it cost to fix my car? Q: What should I do if a warning light comes on inside my car? Q: What’s the best thing I can do to keep my car running in the best condition? Q: Can you tell me which vehicles are the most dependable? Gabriel Manzo is a lifetime veteran of the auto repair industry and owner of Gabe’s Auto Care Center, a Diamond Certified company. He can be reached at (707) 500-2661 or by email. A: A ’67 Chevrolet Impala. A: A ’58 Chevrolet Impala convertible. A: Mary’s Pizza Shack in Sonoma. SONOMA — The timing belt is one of an engine’s most critical components, responsible for synchronizing many of its moving parts. Unlike an engine’s metallic components, however, a timing belt is made of rubber, which makes it prone to deterioration over time. If not preventatively replaced, the belt will eventually break, resulting in serious engine damage. That’s why it’s important to have your timing belt changed at the manufacturer-recommended interval (usually the 90,000-mile mark). In addition to the belt itself, there are several components that make up an engine’s “timing system,” including an idler pulley that spins, a water pump that rides with the timing belt and cam seals behind the gears. All of these components should be changed out along with your timing belt at the time of replacement. The timing belt is sometimes confused with the serpentine belt, which drives a completely different set of engine components. One easy way to tell the two apart is the fact that the serpentine belt is on the outside of the engine, whereas the timing belt is situated inside of it. Being able to distinguish between these two belts can help you avoid a potentially expensive mistake. SONOMA — Host, Sarah Rutan: When it comes to engine maintenance, few measures are more critical than timing belt replacement. Today we’re in Sonoma with Diamond Certified Expert Contributor Gabriel Manzo of Gabe’s Auto Care Center to learn more. Diamond Certified Expert Contributor, Gabriel Manzo: Here’s an expert tip on timing belts. Timing belts should be replaced about 80 to 90,000 miles. It’s a rubber belt, and with time, it stretches, cracks, and breaks and can cause serious engine damage. So, timing belt is operated by a tension that keeps it tight. You got an idler pulley that spins, a water pump that rides with the timing belt, and you got cam seals behind these gears that should be all replaced when replacing this kit. The timing belt is often confused by a serpentine belt that’s outside your motor, but you should replace the timing belt every 80 to 90,000 miles to prevent serious engine damage. Gabe’s Auto Care Center : Average 8.9 out of 10 based on 100 unique customer surveys of customer satisfaction. I have actually recommended him to several people. I know one young lady that was commenting that she has problems with her car, and I suggested she go to Gabe's. I know that she was strapped financially. I saw her recently, and she said she was so glad I sent her there. She said he was so helpful. Her car is running, and she can take her daughter to school now without having to rely on other people. When we call and make an appointment, they are ready for our vehicles. If there is a problem, and there has been, they are very prompt to call us. When they do call us, they know how much it will be and how long it will be until we have the vehicle back in service. We have been very happy with them. The gentleman I worked with, I think his name was Mike, was very friendly and personable. He explained what was going on with the car and was very nice. They are nice people, and I would recommend them. I like that they still value people who are local, and they have local coupons they give out. I appreciate that. When I asked to see if my tires were good to keep driving, they said I had about 30% left on them. I ended up changing my tires sooner anyway. I trusted his opinion. They were straight to the point, really break down different options, and they explain everything in layman's terms. They give you the right options without steering you wrong. They are personable, they get back to me quickly, they give me updates in-between, and I love that they are local. They have quick turnaround. I have had instances where I was in a pinch. I have been to a lot of auto places, and that is the only spot I go to. They get the work done, they are nice to me, and they go out of their way to drive me home. I would highly recommend them. They are very nice. I like the way they greet you. They are very friendly. They do a good job. They can completely trust them. They are honest, and they tell me what I need to know. They are straight, honest, and they do the job. I like Gabe. He's a straight up guy. I would recommend them. They have friendly customer service. They do a good job and are fairly priced. It's close by, and they always provide great service. They also give me a ride home when I need it. He is very thorough, honest, and always very helpful and reassuring when I think I should purchase a new car. He is in the neighborhood, and I feel like I can always count on him when I have a problem. I would tell a friend that he will have your car serviced within the time promised. He also doesn't hang on to your car like other mechanics that take a while to give it back. They are a local business that does good work. I highly recommend them. I am 100% satisfied with them. They are a hometown business. It is reliable and quick. They have fast service. Their service was fast, and what they did for me was great. They do good work, and they are honest. I would recommend them because the customer service is pretty good. I would refer somebody there. I went in, got everything done, and I was in-and-out without any muss or fuss. It was easy. I had no problems at all. I have never had any problems with anything I've gotten done there. I would recommend them. They were able to have it ready when they said they would.